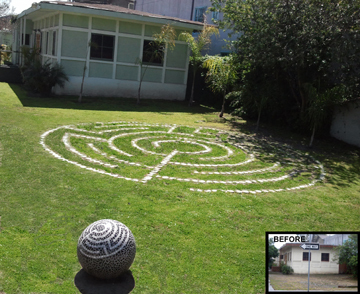 To transform the worst drug dealer corner in the Oakwood neighborhood of Venice into a beautiful, interesting, safe & serene neighborhood park, I invited neighbors to join in creating an in-ground Labyrinth, a spiritual path. 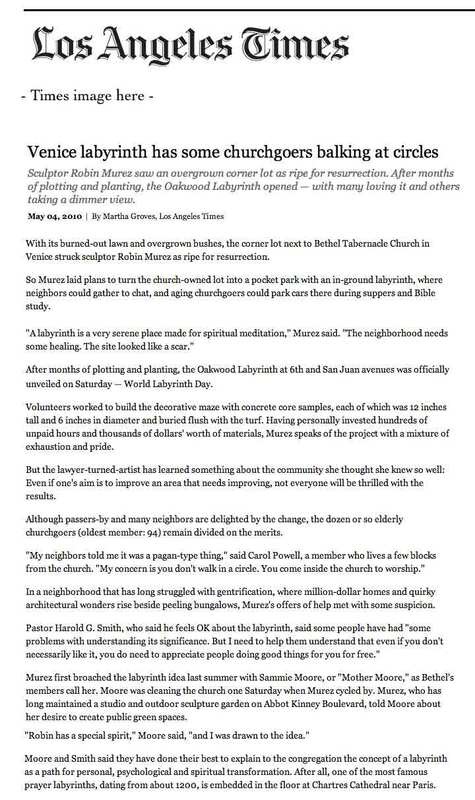 We also painted the Bethel Tabernacle Church (then lot owner), landscaped, installed irrigation, and sculpted the Mosaic Ball. 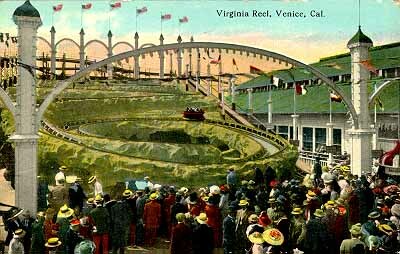 In Venice circa 1912, concentric green circles were not all so serene... Venice had several wild roller coasters including, The Virginia Reel on The Abbot Kinney Pier.